Find My Workspace lists over 95% of the business centres market in Wilnecote. Simply click Request Quote to check pricing for one office, or Add to Basket for multiple offices. This center is far from your average office space. 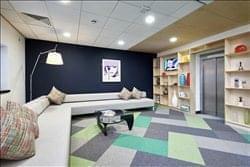 This unique, vibrant building, with three floors, boasts 43 serviced offices, five different sized meeting rooms, shared space and 16 breakout booths all for the use of internal and external members. The modern, spacious offices range from 100 sq. ft. to 612 sq. ft. with both interior and exterior locations available throughout the building over two floors. The center offer a manned reception, kitchen facilities, wifi and on site parking. It is easily accessible from the M42 and A5 as we are located just opposite Tamworth services.